It took 37 games but the Golden State Warriors are officially in trouble, flammable, and about to combust. The fun now comes in the mess of it all. Even when the season started and they got blown out by the San Antonio Spurs and won some close games that shouldn’t have been so close, there was so real panic or mass handwringing. 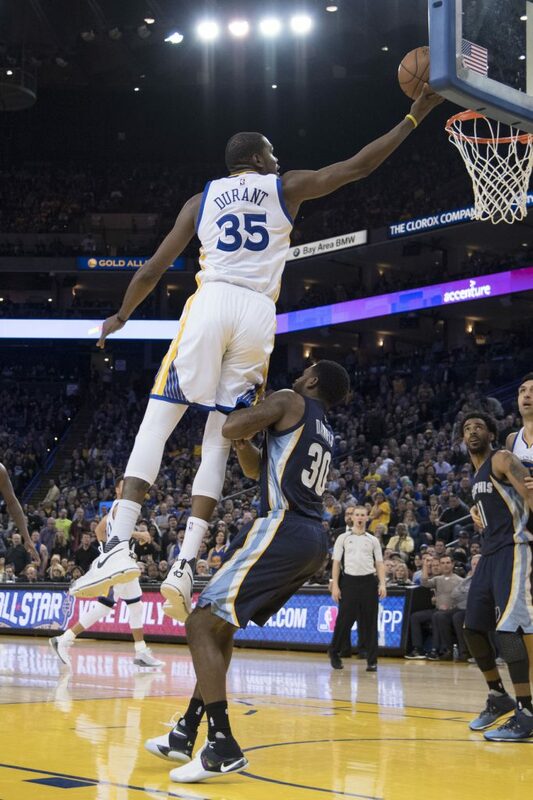 It only took Stephen Curry reluctantly giving the ball up to Kevin Durant, who missed a horrible iso J on Zach Randolph, and Draymond Green yelling after, to blow it all up. Allow me a moment to plug myself first here and here. And we’re off. The game itself 128-119 in OT final score didn’t do the game justice. In the first half, the Warriors looked like everything everyone wanted them to be when they assembled. Stephen Curry was unleashed, aggressive, and mowing down defenses like this was early 2016. Driving, scoring, and kicking to KD and Klay Thompson, their offense infused them on the defensive end, making the Grizzlies look older and slower. Then they took their collective feet off the gas pedal, as usual, but this time they were unable to recover in blowing a 24-point lead. But that wasn’t the story. After the game, Green sauntered to the press room in obviously annoyed fashion and called the late-game offense “atrocious” and that he was “happy to lose”. It was about time someone outwardly acknowledged the struggles. Steve Kerr as a coach isn’t going to incite the panic his team needs. Kevin Durant and Stephen Curry are leaders but not the kind that will motivate his team through media or through a display of emotion on the court, like a LeBron James. The Draymond postgame interview was so fascinating that I don’t want to pull quotes out, rather, here it is in its entirety. The sequence is now dissected into tiny little unseeable atoms. 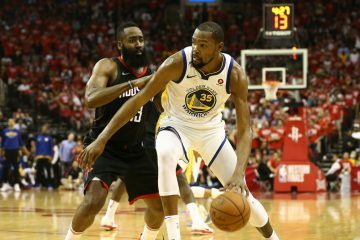 The famed Hamptons 5 lineup found a way to reach Game 7 levels of futility in the most important moments of a basketball game, yet again. They didn’t defend, didn’t move the ball, didn’t make open shots, and generally looked confused. Curry talked about playing with force and the indecisiveness that comes with the confusion. Regardless of open shots or good strategies, when elite level basketball players are unsure of what to do, the confidence level drops drastically. And right now, the greatest collection of five people on one team is lacking the type of confidence that should make them a total assassin. There’s a downside to what Draymond did. Durant is used to going isolation in close situations. His numbers in those times are at their lowest this season but in terms of preference and comfort, this might be what Durant enjoys most. But KD didn’t come to the Warriors for comfort. He came to win not just the single title that eluded him in Oklahoma City, but multiple that he saw possible alongside Steph, Dray, and Klay. With that in mind, Draymond let Durant have it in front of everyone, letting him know that the pick-and-roll is there with either him or Curry, that if he moves the ball the game will come to him, that Zach Randolph won’t be able to stay in front of him on the perimeter. 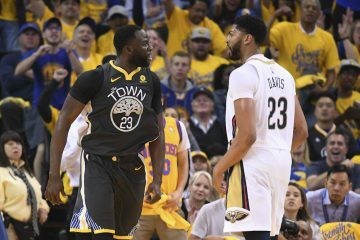 In the context of who Draymond Green, his past antics, and who fans are, it gets taken as immediately hot-tempered and ill-timed. Why would he go at the guy who was brought in as the superstar that’s overtaken even Steph Curry? Is he tearing apart a team that’s subsisted on chemistry and happiness in its rise to greatness? Is Draymond Green good for this team? 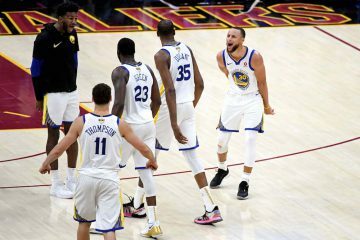 Then in the context of human interaction, the ability to improve, and who these Golden State Warriors are and have been this past half decade, that was the most important moment this season. In terms of hoops, Green is rarely ever wrong on what needs to happen on the court. He was happy the Warriors lost and didn’t just mention last night as a one-time bad stretch but that this extended across this entire season, even in victories. He’s an All-Star, the guy who recruited KD, and most importantly, has a ring on his finger. Now he’s leveraging his cache as the leader of this team when no one is built for it like he is, in order to change the identity and hesitancy the Warriors have developed. It might end up being a problem. These athletes are human and getting shown up like that is not something to be taken lightly. Even Klay had issues with it during the postseason run last year. We don’t know how Durant will take this kind of criticism, having never seen it in OKC. 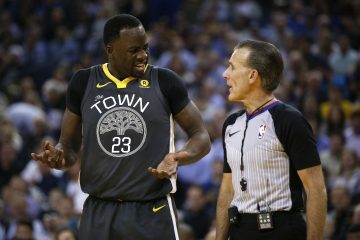 So far, Draymond has known how to push everyone’s buttons accordingly, do you ever wonder why he doesn’t show up Steph? It’s a risk but one worth taking for the greater good, which is likely why he meant what he said when he was happy about the loss. On the floor, there’s a collective bad habit the Hamptons 5 must break. Andre Iguodala can’t and won’t shoot. Klay Thompson stands in a corner, and though he doesn’t necessarily mind, it will only wear if this sustains. Steph and KD have no idea who should initiate the offense and when one does, the other is completely out of the picture. All of it is relatively fixable. They don’t need to be perfect to beat even the Cleveland Cavaliers. They just need to iron out the finer details that’s been escaping them since last June. 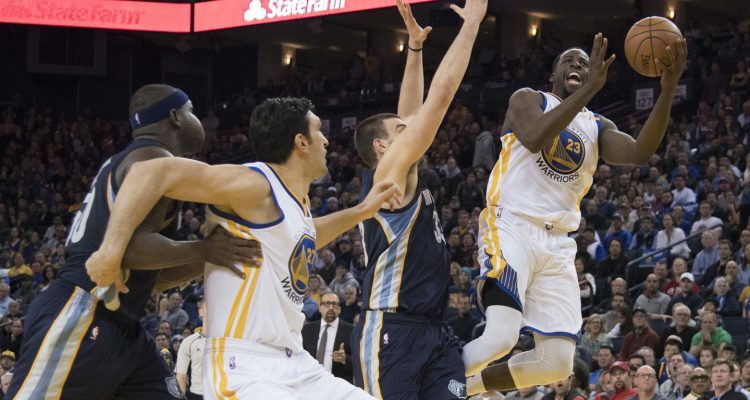 He might not be the best player on the team but in the OT collapse against the Grizzlies, Draymond Green gave truth to the notion he might be the most important.